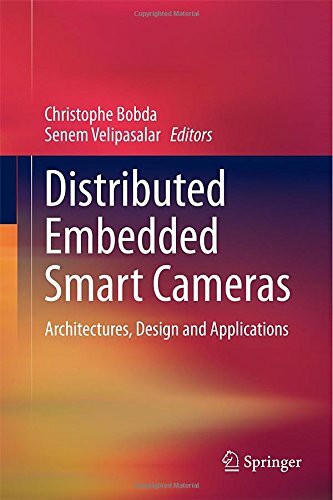 1) Editors: Christophe Bobda, Senem Velipasalar, Distributed Embedded Smart Cameras: Architectures, Design and Applications, Springer, 273 pages, ISBN: 978-1-4614-7704-4 (Print) 978-1-4614-7705-1 (Online), 2014. 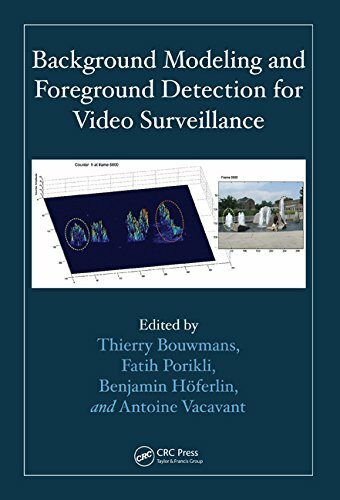 1) S. Velipasalar and M. Casares, "Resource-efficient Foreground Detection with Embedded Smart Cameras" in Background Modeling and Foreground Detection for Video Surveillance, Editors: Thierry Bouwmans, Fatih Porikli, Benjamin Höferlin, Antoine Vacavant, Chapman and Hall/CRC, July 25, 2014. 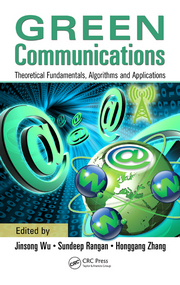 1) D. Qiao, M. C. Gursoy, S. Velipasalar, "Green Wireless Communications under Quality of Service Constraints," Green Communications: Theoretical Fundamentals, Algorithms and Applications, CRC Press, February 2012. 2) Co-authored the chapter "Composite Event Detection in Multi-Camera and Multi-Sensor Surveillance Networks" in Multi-Camera Networks: Concepts and Applications, Elsevier, 2009. 3) Co-authored the chapter "Media Augmentation and Personalization through Multimedia Processing and Information Extraction" in "Personalized Digital Television. Targeting programs to individual users," Kluwer Academic Publishers, 2004. D. Qiao, M. Cenk Gursoy and S. Velipasalar, "Throughput-Delay Tradeoffs with Finite Blocklength Coding over Multiple Coherence Blocks," under review, March 2019. Y. Lu and S. Velipasalar, "Autonomous Human Activity Classification from Wearable Multi-Modal Sensors," under review, March 2019. M. Cornacchia and S. Velipasalar, "Autonomous Selective Parts-Based Tracking," being revised, March 2019. D. Bandara, L. Hirshfield, T. Grant and S. Velipasalar, "Identification of Potential Task Shedding Events Using Brain Activity Data," under review, Febr. 2019. D. Bandara, L. Hirshfield and S. Velipasalar, "Classification of Affect Using Deep Learning on Brain Blood Flow Data," Journal of Near Infrared Spectroscopy, doi: 10.1177/0967033519837986, April 2019. C. Ye, M. Cenk Gursoy and S. Velipasalar, "Power Control for Wireless VBR Video Streaming: From Optimization to Reinforcement Learning," to appear in the IEEE Transactions on Communications, Febr. 2019. L. Hirshfield, P. Bobko, A. Barelka, N. Sommer and S. Velipasalar, "Toward Interfaces that Help Users Identify Misinformation Online: Using fNIRS to Measure Suspicion," Springer Journal of Augmented Human Research, 4:1, April 2019. Y. Li, C. Zhong, M. C. Gursoy, and S. Velipasalar, "Learning-Based Delay-Aware Caching in Wireless D2D Caching Networks," IEEE Access, vol. 6, pp. 77250 – 77264, Nov. 2018. M. Cornacchia, B. Kakillioglu, Y. Zheng and S. Velipasalar, "Deep Learning Based Obstacle Detection and Classification with Portable Uncalibrated Patterned Light," IEEE Sensors Journal, vol. 18, issue: 20, pp. 8416-8425, Oct 2018. C. Ye, M. Cenk Gursoy and S. Velipasalar, "Quality-Driven Resource Allocation for Wireless Video Transmissions Under Energy Efficiency and Delay Constraints," IEEE Access, vol. 6, pp. 43978-43989, July 2018. C. Ye, M. Cenk Gursoy and S. Velipasalar, "Quality-Driven Resource Allocation for Full-Duplex Delay-Constrained Wireless Video Transmissions," IEEE Transactions on Communications, vol. 66, issue:9, pp. 4103-4118, Sept. 2018. T. Rakha, A. Liberty, A. Gorodetsky, B. Kakillioglu and S. Velipasalar, "Heat Mapping Drones:An Autonomous Computer Vision-based Procedure for Building Envelope Inspection using Unmanned Aerial Systems (UAS)," Technology | Architecture + Design (TAD) Journal, 2:1, pp. 30-44, April 2018. DOI: 10.1080/24751448.2018.1420963. D. Bandara, S. Velipasalar, S. E. Bratt, L. M. Hirshfield, "Building Predictive Models of Emotion with Functional Near-Infrared Spectroscopy," International Journal of Human-Computer Studies (2017), doi: 10.1016/j.ijhcs.2017.10.001, vol. 110, pp. 75-85, February 2018. Y. Lu and S. Velipasalar, "Autonomous Footstep Counting and Traveled Distance Calculation by Mobile Devices Incorporating Camera and Accelerometer Data," IEEE Sensors Journal, vol. 17, issue: 21, pp. 7157-7166, Nov. 2017. K. Ozcan, S. Velipasalar and P. Varshney, "Autonomous Fall Detection with Wearable Cameras by using Relative Entropy Distance Measure," IEEE Transactions on Human-Machine Systems, vol. 47, issue: 1, pp. 31-39, Febr. 2017. M. Cornacchia, K. Ozcan, Y. Zheng and S. Velipasalar, "A Survey on Activity Detection and Classification Using Wearable Sensors," IEEE Sensors Journal, vol. 17, issue: 2, pp. 386-403, Jan. 2017. Top 25 most downloaded IEEE Sensors Journal paper for nine consecutive months in 2017, and in June 2018 . Y. Li, G. Ozcan, M. C. Gursoy, and S. Velipasalar," Energy Efficiency of Hybrid-ARQ under Statistical Queuing Constraints ," IEEE Transactions on Communications, vol. 64, no. 10, pp. 4253-4267, Oct. 2016. Y. Li, M. C. Gursoy and S. Velipasalar, "On the Throughput of Multi-Source Multi-Destination Relay Networks with Queueing Constraints ," IEEE Transactions on Wireless Communications, vol. 15, issue: 8, pp. 5368 - 5383, Aug. 2016. F. Erden, S. Velipasalar, A. Z. Alkar, A. Enis Cetin, "Sensors in Assisted Living: A Survey of Signal and Image Processing Methods ," IEEE Signal Processing Magazine, volume:33, issue:2, pp. 36-44, March 2016. K. Ozcan and S. Velipasalar, "Wearable Camera- and Accelerometer-based Fall Detection on Portable Devices ," IEEE Embedded Systems Letters, volume: 8, issue: 1, pp. 6-9, March 2016. C. Ye, G. Ozcan, M. C. Gursoy, and S. Velipasalar, "Multimedia Transmission over Cognitive Radio Channels under Sensing Uncertainty," IEEE Transactions on Signal Processing, vol. 64, no. 3, pp. 726-741, Feb. 2016. A. Almagambetov, S. Velipasalar and A. Baitassova, "Mobile Standards-based Traffic Light Detection in Assistive Devices for Individuals with Color-Vision Deficiency," IEEE Trans. on Intelligent Transportation Systems, vol. 16, issue 3, pp. 1305-1320, June 2015. A. Almagambetov and S. Velipasalar, "Robust and Computationally Lightweight Autonomous Tracking of Vehicle Taillights and Signal Detection by Embedded Smart Cameras," IEEE Trans. on Industrial Electronics, vol. 62, issue 6, pp. 3732-3741, June 2015. Y. Li, M. C. Gursoy, and S. Velipasalar, "On the Throughput of Hybrid-ARQ under Statistical Queuing Constraints," IEEE Transactions on Vehicular Technology, vol. 64, issue 6. pp. 2725-2732, June 2015. D. Qiao, M. C. Gursoy and S. Velipasalar, "Achievable Throughput Regions of Fading Broadcast and Interference Channels under QoS Constraints," IEEE Transactions on Communications, vol. 69, issue 9, pp. 3730--3740, Sept. 2013. K. Ozcan, A. K. Mahabalagiri, M. Casares, and S. Velipasalar, "Automatic Fall Detection and Activity Classification by a Wearable Embedded Smart Camera", IEEE Journal on Emerging and Selected Topics in Circuits and Systems, pp. 125-136, June 2013. D. Qiao, M. C. Gursoy and S. Velipasalar, "Effective Capacity of Two-Hop Wireless Communication Systems,” IEEE Transactions on Information Theory, vol. 59, issue 2, pp. 873–885, February 2013. Y. Wang, S. Velipasalar and M. C. Gursoy, "Distributed Wide-area Multi-object Tracking with Non-overlapping Camera Views," Springer International Journal on Multimedia Tools and Applications, 31 pages, Nov. 2012 (DOI 10.1007/s11042-012-1267-x). D. Qiao, M. C. Gursoy and S. Velipasalar, "Energy Efficiency in Multiaccess Fading Channels under QoS Constraints,” EURASIP Journal on Wireless Communications and Networking, 2012:136, April 2012. M. Casares and S. Velipasalar, "Adaptive Methodologies for Energy-efficient Object Detection and Tracking with Battery-powered Embedded Smart Cameras," IEEE Transactions on Circuits and Systems for Video Technology, vol. 21, issue 10, pp. 1438-1452, October 2011. D. Qiao, M. C. Gursoy, S. Velipasalar, “Secure Wireless Communication and Optimal Power Control under Statistical Queueing Constraints,” IEEE Trans. on Information Forensics and Security, vol. 6, no. 3, pp. 628-639, Sept. 2011. D. Qiao, M. C. Gursoy, S. Velipasalar, "Transmission Strategies in Multiple-Access Fading Channels with Statistical QoS Constraints," IEEE Trans. on Information Theory, vol. 58, issue 3, pp. 1578 - 1593, March 2012. D. Qiao, M. C. Gursoy, and S. Velipasalar, “Energy Efficiency in the Low-SNR Regime under Queueing Constraints and Channel Uncertainty,” IEEE Trans. on Communications, vol. 59, no. 7, pp. 2006-2017, July 2011. A. Sharma, D. Bullock, S. Velipasalar, M. Casares, J. Schmitz, N. Burnett, "Improving Safety and Mobility at High-Speed Intersections with Innovations in Sensor Technology," Transportation Research Record, TRR 2259, Journal of the Transportation Research Board, pp.253-263, 2011. Y. Wang, S. Velipasalar and M. Casares, "Cooperative Object Tracking and Composite Event Detection with Wireless Embedded Smart Cameras," IEEE Transactions on Image Processing, vol. 19, issue 10, pp. 2614-2633, October 2010. M. Casares, S. Velipasalar, A. Pinto, "Light-weight Salient Foreground Detection for Embedded Smart Cameras," Computer Vision and Image Understanding, vol. 114, issue 11, pp. 1223-1237, 2010. S. Velipasalar, L. M. Brown and A. Hampapur, "Detection of User-defined, Semantically High-level, Composite Events, and Retrieval of Event Queries," Multimedia Tools and Applications, Springer, vol. 50, issue 1, pp. 249-278, 2010. D. Qiao, M. C. Gursoy, and S. Velipasalar “A Noncooperative Power Control Game in Multi-Access Fading Channels with QoS Constraints,” Physical Communication (Elsevier), vol. 3, issue 2, pp. 97-104, June 2010. D. Qiao, M. C. Gursoy, and S. Velipasalar, "The Impact of QoS Constraints on the Energy Efficiency of Fixed-Rate Wireless Transmissions," IEEE Transactions on Wireless Communications, vol. 8, no. 12, pp. 5957–5969, Dec. 2009. M. C. Gursoy, D. Qiao, and S. Velipasalar, "Analysis of Energy Efficiency in Fading Channels under QoS constraints," IEEE Transactions on Wireless Communications, vol. 8, no. 8, pp. 4252-4263, Aug. 2009. S. Velipasalar and W. Wolf, "Frame-level Temporal Calibration of Video Sequences from Unsynchronized Cameras," Machine Vision and Applications Journal, vol. 19, no. 5-6, pp. 395-409, Oct. 2008. S. Velipasalar, J. Schlessman, C.-Y. Chen, W. Wolf and J. P. Sing, "A Scalable Clustered Camera System for Multiple Object Tracking," EURASIP Journal on Image and Video Processing, vol. 2008, Article ID 542808, 22 pages, 2008. S. Velipasalar and W. Wolf, "Lessons from a Distributed Peer-to-peer Smart Tracker," Elektrotechnik & Informationstechnik Journal, 125/10, pp. 334-340, 2008. Y. Lu and S. Velipasalar, "Human Activity Classification incorporating Egocentric Video and Inertial Measurement Unit Data," Proc. of the IEEE Global Conference on Signal and Information Processing (GlobalSIP), 2018. B.Kakillioglu, A. Ahmad and S. Velipasalar, "Object Classification from 3D Volumetric Data with 3D Capsule Networks," Proc. of the IEEE Global Conference on Signal and Information Processing (GlobalSIP), 2018. C. Ye, M. C. Gursoy and S. Velipasalar,, "Deep Learning Based Power Control for Quality-Driven Wireless Video Transmissions," Proc. of the IEEE Global Conference on Signal and Information Processing (GlobalSIP), 2018. C. Zhong, Z. Lu, M. C. Gursoy and S. Velipasalar,, "Actor-Critic Deep Reinforcement Learning for Dynamic Multichannel Access," Proc. of the IEEE Global Conference on Signal and Information Processing (GlobalSIP), 2018. A. Ahmad, B.Kakillioglu and S. Velipasalar, "3D Capsule Networks for Object Classification from 3D Model Data," Proc. of Asilomar Conference on Signals, Systems, and Computers, 2018. M. Cornacchia, S. Velipasalar, Y. Zheng and B.Kakillioglu, "Obstacle Detection and Identification with Portable Uncalibrated Patterned Light," Proc. of Asilomar Conference on Signals, Systems, and Computers, 2018. F. Altay and S. Velipasalar, "Image Completion with Discriminator Guided Context Encoder," Proc. of Asilomar Conference on Signals, Systems, and Computers, 2018. L. Hirshfield, T. Williams, N. Sommer, T. Grant and S. Velipasalar, "Workload-Driven Modulation of Mixed-Reality Robot-Human Communication," Int'l Conf. on Multimodal Interaction (ICMI 2018) Workshop on Modeling Cognitive Processes from Multimodal Data, 2018. B. Kakillioglu, S. Velipasalar and T. Rakha, "Autonomous Heat Leakage Detection from Unmanned Aerial Vehicle-Mounted Thermal Cameras," Proc. of ACM International Conf. on Distributed Smart Cameras, 2018. C. Zhong, M. C. Gursoy and S. Velipasalar, "A Deep Reinforcement Learning-Based Framework for Content Caching," Proc. of 52nd Annual Conference on Information Sciences and Systems, CISS, Princeton University, NJ, 2018. C. Ye, M. C. Gursoy and S. Velipasalar, "Power Control and Mode Selection for VBR Video Streaming in D2D Networks," Proc. of the 2018 IEEE Wireless Communications and Networking Conference (WCNC). Y. Li, M. C. Gursoy, S. Velipasalar and J. Tang,, "Joint Mode Selection and Resource Allocation for D2D Communications via Vertex Coloring," Proc. of the IEEE Global Communications Conference (Globecom), Dec. 2017. Y. Zheng, K. Ozcan and S. Velipasalar, "A Codebook of Brightness Transfer Functions for Improved Target Re-Identification across Non-Overlapping Camera Views," Proc. of the IEEE Global Conference on Signal and Information Processing (GlobalSIP), 2017. M. Cornacchia and S. Velipasalar, "Selective Parts-Based Tracking through Occlusions," Proc. of the IEEE Global Conference on Signal and Information Processing (GlobalSIP), 2017. Y. Lu and S. Velipasalar, "Human Activity Classification from Wearable Devices with Cameras," Proc. of Asilomar Conference on Signals, Systems, and Computers, 2017. K. Ozcan, S. Velipasalar and A. Sharma, "Traffic Sign Detection from Lower-quality and Noisy Mobile Videos," Proc. of the 11th International Conf. on Distributed Smart Cameras, Stanford University, CA, Sept. 2017. Y. Li, M. C. Gursoy and S. Velipasalar, "Intercell Interference-Aware Scheduling for Delay Sensitive Applications in C-RAN," Proc. of the IEEE Vehicular Technology Conference (VTC)-Fall, Toronto, Sept. 2017. Y. Li, M. C. Gursoy, and S. Velipasalar, "Throughput of HARQ-IR with Finite Blocklength Codes and QoS Constraints," Proc. of the IEEE International Symposium on Information Theory (ISIT), 2017. Y. Li, M. C. Gursoy, and S. Velipasalar, "A Delay-Aware Caching Algorithm for Wireless D2D Caching Network," Proc. of the IEEE INFOCOM 2017 Workshop on Integrating Edge Computing, Caching, and Offloading in Next Generation Networks (IECCO), Atlanta, GA, May 2017. C. Ye, M. C. Gursoy, and S. Velipasalar, "Optimal Resource Allocation for Full-Duplex Wireless Video Transmissions under Delay Constraints," Proc. of the 2017 IEEE Wireless Communications and Networking Conference (WCNC), San Francisco, CA, Mar. 2017. Y. Li, M. C. Gursoy, and S. Velipasalar, "Throughput of Hybrid-ARQ Chase Combining with ON-OFF Markov Arrivals under QoS Constraints," Proc. of the 2016 IEEE Global Communications Conference (Globecom), Washington, DC, Dec. 2016. B. Kakillioglu and S. Velipasalar, "Doorway Detection for Autonomous Indoor Navigation of Unmanned Vehicles," Proc. of the IEEE International Conference on Image Processing (ICIP), Phoenix, Arizona, September 2016. Y. Lu and S. Velipasalar, "Robust Footstep Counting and Traveled Distance Calculation by Mobile Phones Incorporating Camera Geometry," Proc. of the IEEE International Conference on Image Processing (ICIP), Phoenix, Arizona, September 2016. Y. Li, M. C. Gursoy and S. Velipasalar, "Scheduling in D2D Underlaid Cellular Networks with Deadline Constraints," Proc. of the 2016 IEEE Vehicular Technology Conference (VTC) - Fall, September, 2016. Y. Zheng, Zhenhua (Jimmy) Chen, S. Velipasalar and J. Tang, "Person Detection and Re-identification Across Multiple Images and Videos Obtained via Crowdsourcing," Proc. of the International Conference on Distributed Smart Cameras (ICDSC), Paris, France, 2016. B. Kakillioglu and S. Velipasalar, "Autonomous Altitude Measurement and Landing Area Detection for Indoor UAV Applications," Proc. of the IEEE International Conference on Advanced Video and Signal-Based Surveillance (AVSS), Colorado Springs, August, 2016. Y. Li, M. C. Gursoy and S. Velipasalar, "Throughput of Two-Hop Wireless Channels with Queueing Constraints and Finite Blocklength Codes," Proc. of the IEEE International Symposium on Information Theory (ISIT), Barcelona, Spain, July 2016. C. Ye, M. C. Gursoy and S. Velipasalar, "Multimedia Transmission over Device-to-Device Wireless Links," Proc. of the IEEE International Conference on Multimedia and Expo (ICME), Seattle, WA, July 2016. D. Bandara, S. Song, L. Hirshfield and S. Velipasalar, "A More Complete Picture of Emotion using Electrocardiogram and Electrodermal Activity to Complement Cognitive Data," In Foundations of Augmented Cognition: Neuroergonomics and Operational Neuroscience - 10th Int'l Conf., AC 2016 and Held as Part of HCI International 2016, Proc. (Vol. 9743, pp. 287-298). (Lecture Notes in Computer Science; Vol. 9743). Springer Verlag. DOI: 10.1007/978-3-319-39955-3_27. Y. Li, M. C. Gursoy and S. Velipasalar, "Device-to-Device Communication in Cellular Networks under Statistical Queueing Constraints," Proc. of the 2016 IEEE International Conference on Communications (ICC), Kuala Lumpur, Malaysia, May 2016. Y. Li, M. C. Gursoy and S. Velipasalar, "Joint Mode Selection and Resource Allocation for D2D Communications under Queueing Constraints," Proc. of the 2016 IEEE Conference on Computer Communications Workshops (INFOCOM WKSHPS): 2016 IEEE Infocom 5G & Beyond Workshop, San Francisco, CA, April 2016. C. Ye, G. Ozcan, M. C. Gursoy, S. Velipasalar, "Image Transmission over Cognitive Radio Systems with Channel and Sensing Uncertainty," to appear in the Proc. of the IEEE Global Conference on Signal and Information Processing (GlobalSIP), Dec. 2015. M. Cornacchia and S. Velipasalar, "Scale Estimation with Difference of Ordered Residuals," to appear in the Proc. of the IEEE Int'l Conf. on Image Processing (ICIP), Sept. 2015. K. Ozcan and S. Velipasalar, "Robust and Reliable Step Counting by Mobile Phone Cameras," Proc. of the International Conference on Distributed Smart Cameras (ICDSC), Sept. 2015. Y. Li, M. C. Gursoy and S. Velipasalar, "Throughput and Mode Selection in Two-way MIMO Systems under Queuing Constraints," Proc. of the IEEE International Conference on Communications (ICC), June 2015. Y. Li, M. C. Gursoy and S. Velipasalar, "On the Throughput of ARQ over Multiple-Access Relay Fading Channels with Queueing Constraints," Proc. of the IEEE Wireless Communications and Networking Conference (WCNC), March 2015. C. Ye, G. Ozcan, M. C. Gursoy, S. Velipasalar, "Image and Video Transmission in Cognitive Radio Systems under Sensing Uncertainty," Proc. of the IEEE Wireless Communications and Networking Conference (WCNC), March 2015. C. Ye, G. Ozcan, M. C. Gursoy, S. Velipasalar, "Uncoded Image Transmission in Cognitive Radio Systems," Proc. of the IEEE Global Conference on Signal and Information Processing (GlobalSIP), Dec. 2014. F. Yonga, Alfredo G. C. Junior, M. Mefenza, L. Saldanha, C. Bobda and S.Velipasalar, "Self-Coordinated Target Assignment and Camera Handoff in Distributed Network of Embedded Smart Cameras," Proc. of the ACM Int'l Conf. on Distributed Smart Cameras (ICDSC), Nov. 2014. Y. Zheng, K. Ozcan, S. Velipasalar, H. Shen, Q. Qiu, "Energy Efficient Tracking by Dynamic Voltage and Frequency Scaling on Android Smart Phones, Proc. of the ACM Int'l Conf. on Distributed Smart Cameras (ICDSC)," Nov. 2014. M.Scalzo and S. Velipasalar, "Agglomerative Clustering for Feature Point Grouping," Proc. of the 2014 IEEE Int’l Conf. on Image Processing (ICIP). M.Scalzo and S. Velipasalar, "Autonomous Multi-Scale Object Detection with Hough Forests," Proc. of the 2014 IEEE Int’l Conf. on Image Processing (ICIP). F. Yonga, Alfredo G. C. Junior, M. Mefenza, L. Saldanha, C. Bobda and S.Velipasalar, "Self-Coordinated Target Assignment and Camera Handoff in Distributed Network of Embedded Smart Cameras," Proc. of the ACM/IEEE Int'l Conf. on Distributed Smart Cameras (ICDSC), Nov. 2014. Y. Zheng, K. Ozcan, S. Velipasalar, H. Shen, Q. Qiu, "Energy Efficient Tracking by Dynamic Voltage and Frequency Scaling on Android Smart Phones, Proc. of the ACM/IEEE Int'l Conf. on Distributed Smart Cameras (ICDSC), Nov. 2014. A. K. Mahabalagiri, K. Ozcan and S. Velipasalar, "Camera Motion Detection for Mobile Smart Cameras Using Segmented Edge-Based Optical Flow," Proc. of the IEEE Int’l Conf. on Advanced Video and Signal Based Surveillance (AVSS), Aug. 2014. Y. Zheng, C. Ye, S. Velipasalar and M. C. Gursoy, "Energy Efficient Image Transmission using Wireless Embedded Smart Cameras," Proc. of the IEEE Int’l Conf. on Advanced Video and Signal Based Surveillance (AVSS), Aug. 2014. Y. Li, G. Ozcan, M. C. Gursoy, S. Velipasalar, "Energy Efficiency of Hybrid-ARQ Systems under QoS Constraints," Proc. of the 48th Annual Conference on Information Sciences and Systems, Princeton University, 2014. D. Bandara, L. Hirshfield, S. Velipasalar, "Insights into User Personality and Learning Style through Cross Subject fNIRS Classification," Proc. of HCI International 2014. N. Sommer, L. Hirshfield, S. Velipasalar, "Our Emotions as Seen Through a Webcam," Proc. of HCI International 2014. K. Ozcan, A. Mahabalagiri and S. Velipasalar, “Fall Detection and Activity Classification using a Wearable Smart Camera," Proc. of the IEEE International Conf. on Multimedia and Expo (ICME), July 2013. C. Ye, Y. Zheng, S. Velipasalar and M. C. Gursoy, “Energy-Aware and Robust Task (Re)Assignment in Embedded Smart Camera Networks," to appear in the Proc. of the IEEE International Conf. on Advanced Video and Signal Based Surveillance (AVSS), August 2013. Y. Li, S. Velipasalar and M. C. Gursoy, “An Improved Evolutionary Algorithm for Fundamental Matrix Estimation," to appear in the Proc. of the IEEE International Conf. on Advanced Video and Signal Based Surveillance (AVSS), August 2013. A. Mahabalagiri, K. Ozcan, and S. Velipasalar, “A Robust Edge-Based Optical Flow Method for Elderly Activity Classification with Wearable Smart Cameras," to appear in the Proc. of the ACM/IEEE International Conference on Distributed Smart Cameras (ICDSC), Oct. 29- Nov. 1, 2013. Y. Zheng, A. Mahabalagiri and S. Velipasalar, “Detection of Moving People with Mobile Cameras by Fast Motion Segmentation," to appear in the Proc. of the ACM/IEEE International Conference on Distributed Smart Cameras (ICDSC), Oct. 29- Nov. 1, 2013. Y. Li, D. Qiao, M. C. Gursoy, and S. Velipasalar, “On the Throughput of Two-Way Relay Systems under Queueing Constraints," to appear in the Proc. of the IEEE Global Communications Conference (Globecom), Atlanta, December 2013. A. Almagambetov, M. Casares, S. Velipasalar, "Autonomous Tracking of Vehicle Rear Lights and Detection of Breaks and Turn Signals," Proc. of the IEEE Symposium on Computational Intelligence for Security and Defense Applications (CISDA), July 2012. A. Gawde, K. Joshi and S. Velipasalar, “Lightweight and Robust Shadow Removal for Foreground Detection,” Proc. of the IEEE International Conf. on Advanced Video and Signal Based Surveillance (AVSS), Sept. 2012. M. Casares, A. Almagambetov and S. Velipasalar, “A Robust Algorithm for the Detection of Vehicle Turn Signals and Brake Lights,” Proc. of the IEEE Int'l Conf. on Advanced Video and Signal Based Surveillance (AVSS), Sept. 2012. M. Casares, K. Ozcan, A. Almagambetov and S. Velipasalar, “Automatic Fall Detection by a Wearable Embedded Smart Camera,” Proc. of the ACM/IEEE International Conference on Distributed Smart Cameras (ICDSC), Oct.30-Nov.2, 2012. A. Almagambetov, M. Casares and S. Velipasalar, “Autonomous Tracking of Vehicle Taillights from a Mobile Platform using an Embedded Smart Camera,” Proc. of the ACM/IEEE International Conference on Distributed Smart Cameras (ICDSC), Oct.30-Nov.2, 2012. D. Qiao, M. C. Gursoy, and S. Velipasalar, "Throughput Regions for Fading Interference Channels under Statistical QoS Constraints," Proc. of the IEEE Global Communications Conference (Globecom), 2012. D. Qiao, M. C. Gursoy, and S. Velipasalar, "Energy Efficiency in Multiaccess Fading Channels under QoS Constraints,” Proc. of the IEEE International Conference on Communications (ICC), 2012. D. Qiao, M. C. Gursoy, and S. Velipasalar, "The Impact of Half-Duplex Relaying on the Effective Capacity of Two-Hop Communication Systems,” Prof. of the CISS 2012. A. Sharma, M. Casares, S. Velipasalar, D. Bullock, "Wide Area Detection for Reducing Dilemma Zone Incursions at Isolated High Speed Intersections: Opportunities and Challenges," Proc. of the 18th World Congress on Intelligent Transportation Systems, 2011. M. Casares, P. Santinelli, S. Velipasalar, R. Cucchiara, A. Prati, "Energy-efficient Feedback Tracking on Embedded Smart Cameras by Hardware-level Optimization", Proc. of the ACM/IEEE International Conference on Distributed Smart Cameras, August 2011 (received the 3rd place paper award). L. He, Y. Wang, S. Velipasalar, M. C. Gursoy, "Human Detection using Mobile Embedded Smart Cameras", Proc. of the ACM/IEEE International Conference on Distributed Smart Cameras, August 2011. D. Qiao, M. C. Gursoy, and S. Velipasalar, "Effective Capacity Region and Optimal Power Control for Fading Broadcast Channels,” Proc. of the IEEE International Symposium on Information Theory (ISIT), Aug. 2011. Y. Wang, S. Velipasalar and M. C. Gursoy, "Wide-area Multi-object Tracking with Non-overlapping Camera Views", Proc. of the IEEE Int'l Conference on Multimedia and Expo (ICME), July 2011. M. Casares, P. Santinelli, S. Velipasalar, A. Prati and R. Cucchiara, "Energy-efficient Foreground Object Detection on Embedded Smart Cameras by Hardware-level Operations," Computer Vision and Pattern Recognition Workshops (CVPRW), June 2011. D. Qiao, M. C. Gursoy, and S. Velipasalar, "Channel Coding over Multiple Coherence Blocks with Queueing Constraints," Proc. of the IEEE International Conference on Communications (ICC), June 2011. D. Qiao, M. C. Gursoy, and S. Velipasalar, "On the Effective Capacity of Two-Hop Communication Systems," Proc. of the IEEE International Conference on Communications (ICC), June 2011. A. Pinto, Z. Zhang, X. Dong, S. Velipasalar, M. C. Vuran, and M. C. Gursoy, "Analysis of the Accuracy-Latency-Energy Tradeoff for Wireless Embedded Camera Networks", Proc. of the 2011 IEEE Wireless Communications and Networking Conference (WCNC), March 2011. Y. Wang, L. He and S. Velipasalar, "Real-time Distributed Tracking with Non-Overlapping Cameras," Proc. of the IEEE International Conference on Image Processing (ICIP), September 2010. M. Casares and S. Velipasalar, “Resource-Efficient Salient Foreground Detection for Embedded Smart Cameras by Tracking Feedback,” Proc. of the IEEE International Conference on Advanced Video and Signal-Based Surveillance (AVSS), 2010. M. Casares and S. Velipasalar, "An Adaptive Method for Energy-Efficiency in Battery-Powered Embedded Smart Cameras," Proc. of the ACM/IEEE International Conference on Distributed Smart Cameras (ICDSC), September 2010. D. Qiao, M. C. Gursoy, and S. Velipasalar, “Secure Broadcasting over Fading Channels with Statistical QoS Constraints", Proc. of the IEEE Globecom, December 2010. D. Qiao, M. C. Gursoy, and S. Velipasalar, "Secure Communication over Fading Channels with Statistical QoS Constraints," Proc. of the IEEE International Symposium on Information Theory (ISIT), Austin, Texas, June 2010. D. Qiao, M. C. Gursoy, and S. Velipasalar, “On the Achievable Throughput Region of Multiple-Access Fading Channels with QoS Constraints,” to appear in the Proc. of the 2010 IEEE International Conference on Communications (ICC), Cape Town, South Africa, May 2010. D. Qiao, M. C. Gursoy, and S. Velipasalar, “A Noncooperative Power Control Game in Multiple-Access Fading Channels with QoS Constraints,” to appear in the Proc. of the 2010 IEEE Wireless Communications and Networking Conference (WCNC), Sydney, Australia, April 2010. Y. Wang, M. Casares and S. Velipasalar, "Cooperative Object Tracking and Event Detection with Wireless Smart Cameras," Proc. of the IEEE Int'l Conf. on Advanced Video and Signal Based Surveillance, pp. 394-399, 2009. Y. Wang, S. Velipasalar and M. Casares, "Detection of Composite Events Spanning Multiple Camera Views with Wireless Embedded Smart Cameras," Proc. of the ACM/IEEE International Conference on Distributed Smart Cameras (ICDSC), 2009. M. Casares and S. Velipasalar, "Light-weight Salient Foreground Detection with Adaptive Memory Requirement," Proc. of the IEEE International Conference on Acoustics, Speech, and Signal Processing (ICASSP), pp. 1245-1248, 2009. Y. Wang and S. Velipasalar, "Frame-level Temporal Calibration of Unsynchronized Cameras by Using Longest Consecutive Common Sequence," Proc. of the IEEE International Conference on Acoustics, Speech, and Signal Processing (ICASSP), pp. 813-816, 2009. M. Casares, A. Pinto, Y. Wang and S. Velipasalar, "Power Consumption and Performance Analysis of Object Tracking and Event Detection with Wireless Embedded Smart Cameras," Proc. of the Int'l Conf. on Signal Processing and Communication Systems (ICSPCS), 2009. D. Qiao, M. C. Gursoy, and S. Velipasalar, "Energy Efficiency of Fixed-Rate Wireless Transmissions under Queueing Constraints and Channel Uncertainty," Proc. of the IEEE Global Communications Conference (Globecom), 2009. D. Qiao, M. C. Gursoy, and S. Velipasalar, "Energy Efficiency of Fixed-Rate Wireless Transmissions under QoS Constraints," Proc. of the IEEE International Conference on Communications (ICC), pp. 1-5, June 2009. D. Qiao, M. C. Gursoy, and S. Velipasalar, "Analysis of Energy Efficiency in Fading Channels under QoS constraints," Proc. of the IEEE Global Communications Conference (Globecom), 2008. M. Casares and S. Velipasalar, "Light-weight Salient Foreground Detection for Embedded Smart Cameras," Proc. of the ACM/IEEE International Conference on Distributed Smart Cameras (ICDSC), pp. 1-7, Sept. 2008. Y. Zhao, M. Casares and S. Velipasalar, "Continuous Background Update and Object Detection with Moving Cameras," Proc. of the IEEE International Conference on Advanced Video and Signal Based Surveillance, pp. 309-316, Sept. 2008. M. Casares, M. C. Vuran and S. Velipasalar, "Design of a Wireless Vision Sensor for Object Tracking in Wireless Vision Sensor Networks," Proc. of the ACM/IEEE International Conference on Distributed Smart Cameras (ICDSC), Workshop on Embedded Middleware for Smart Camera and Visual Sensor Networks (eMCAM), pp. 1-9, Sept. 2008. W. D. Leon-Salas, S.Velipasalar, N. Schemm, S. Balkir, "A Low-Cost, Tiled Embedded Smart Camera System for Computer Vision Applications," Proc. of the ACM/IEEE International Conference on Distributed Smart Cameras (ICDSC), pp. 125-131, Sept. 2007. W. Wolf, S. Velipasalar, J. Schlessman, C.-Y. Chen, C. H. Lin, "Real-Time Distributed Tracking," Proc. of the IEEE International Conference on Acoustics, Speech, and Signal Processing (ICASSP), pp. 1389-1392, April 2007. S. Velipasalar, C. H. Lin, J. Schlessman, W. Wolf, "Design and Verification of Communication Protocols for Peer-to-Peer Multimedia Systems," Proc. of the IEEE International Conference on Multimedia & Expo (ICME), pp. 1421-1424, July 2006 (received the Best Student Paper Award). S. Velipasalar, J. Schlessman, C.-Y. Chen, W. Wolf, J. P. Singh, "SCCS: A Scalable Clustered Camera System for Multiple Object Tracking Communicating via Message Passing Interface," Proc. of the IEEE International Conference on Multimedia & Expo, pp. 277-280, July 2006. S. Velipasalar, Y.-L. Tian, A. Hampapur, "Automatic Counting of Interacting People by Using a Single Uncalibrated Camera," Proc. of the IEEE International Conference on Multimedia & Expo (ICME), pp. 1265-1268, July 2006. S. Velipasalar, L. M. Brown, A. Hampapur, "Specifying, Interpreting and Detecting High-level, Spatio-Temporal Composite Events in Single and Multi-Camera Systems," International Workshop on Semantic Learning Applications in Multimedia (SLAM), Proc. of the IEEE Computer Vision and Pattern Recognition Workshop, pp. 110-117, 2006. L. M. Brown, S. Velipasalar, A. W. Senior, S. Pankanti, A. Hampapur, Chiao-fe Shu, Ying-li Tian, "Video Privacy in the Age of Automated Surveillance," IEEE Workshop on Privacy Research in Vision in conjunction with IEEE Conf. on Computer Vision and Pattern Recognition, 2006. S. Velipasalar and W. Wolf, "Frame-level Temporal Calibration of Video Sequences from Unsynchronized Cameras by Using Projective Invariants," Proc. of the IEEE International Conference on Advanced Video and Signal Based Surveillance (AVSS), pp. 462-467, Sept. 15-16, 2005. S. Velipasalar and W. Wolf, "Multiple Object Tracking and Occlusion Handling by Information Exchange between Uncalibrated Cameras," Proc. of the IEEE International Conference on Image Processing (ICIP), vol. 2, pp. 418-421, Sept. 11-14, 2005. S. Velipasalar and W. Wolf, "Recovering Field of View Lines by Using Projective Invariants," Proc. of the IEEE International Conference on Image Processing (ICIP), vol.5, pp. 3069-3072, Oct. 24-27, 2004. J.H. Connell, N. Haas, E. Marcheret, C. Neti, G. Potamianos, S. Velipasalar, "A Real-time Prototype for Small Vocabulary Audio-Visual ASR," Proc. of the IEEE International Conference on Multimedia and Expo (ICME), vol. 2, pp. 469-472, July 6-9, 2003. D. B. Cooper, A. Willis, S. Andrews, J. Baker, Y. Cao, D. Han, K. Kang, W. Kong, F. Leymarie, X. Orriols, S. Velipasalar, E. L. Vote, M. S. Joukowsky, B. B. Kimia, D. H. Laidlaw, D. Mumford, "Bayesian Pot-Assembly from Fragments as Problems in Perceptual-Grouping and Geometric-Learning," Proc. of the International Conference on Pattern Recognition (ICPR), vol.3, pp. 297-302, Aug. 11-15, 2002. D. B. Cooper, A. Willis, S. Andrews, J. Baker, Y. Cao, D. Han, K. Kang, W. Kong, F. F. Leymarie, X. Orriols, S. Velipasalar, E. Vote, M. S. Juokowsky, B. B. Kimia, D. H. Laidlaw, D. Mumford, "Assembling Virtual Pots from 3D Measurements of their Fragments," VAST, Conference on Virtual Archaeology and Cultural Heritage, November 28-30, 2001.